If you work with source code of multiple dependencies at the same time then Composite Builds is the feature you didn’t know you needed. Back in October 2016 Gradle 3.1 introduced Composite Builds to the world. The idea behind this feature is to let a project build its external dependencies as needed; think of quick fixing a bug or checking for breakages before publishing a snapshot release. jsr377-api: Defines the API for this JSR. jsr377-spec: Provides the spec document for this JSR. jsr377-tck: Delivers the TCK that every implementation must pass. jsr377-converters: Additional type converters based on the Converter API provided by this JSR. 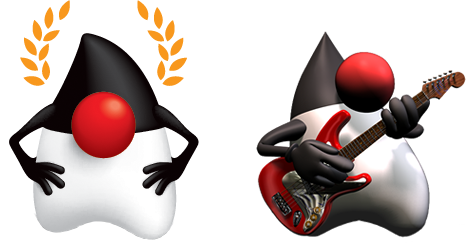 Now, both jsr377-tck and jsr377-converters require jsr377-api as a dependency. Each of these projects is set as standalone as they have different lifecycles and publication schedules. This means that for the first two to consume the latter we’ll need to publish intermediate releases (or snapshots) to figure out if the changes made to the base API are compatible or not. We know this by heart when using Maven or Gradle, simply call mvn install or gradle publishToMavenLocal and move on. But dealing with snapshot releases results in pain no matter what; there’s always that outdated release that gets in the way because we forgot to call install or publish at the right time, isn’t it? To give you more context just look at what fellow Java Champion Anton Arhipov posted on this regard with Maven and CI environments. It turns out Gradle built the jsr377-api project first then jsr377-converters. Neat! Say goodbye to snapshot releases. With this feature in place now the JSR377 team can make changes to the API and see the changes cascade down to consumer projects. And just like every other task, those provided by jsr377-api also participate in input/output caching, there’s actually no difference from a developer’s POV. Prior to this feature we had to keep locally built binaries under source control to make the Griffon build work both locally and on CI servers, as the JSR has not reached a stage of final publication. Now that we have this feature at our disposal it’s just a matter of adding the required changes to settings.gradle and voilà! Here’s the file being edited on IntelliJ IDEA, notice that the project navigator shows all dependencies, just like regular submodules, which means we can edit any of the 4 projects in the same window. This snippet makes sure to check out dependencies at the right location before proceeding.